After a long week with apartment hunting and tax prep, we were ready for some wine and cheese! Maria found the first sip to be pretty sharp with flavors of Tobacco and oak, while Neil noticed blackberries and pepper. The cheese this week was quite a challenge to find but we now know of a few more local stores to check in the future. When I asked the clerks about Pecorino cheese I was cautioned that it will have a strong salty flavor. When we had our first bite of the cheese it was flaky, salty and had a full taste but was not overpowering. After tasting the cheese, Maria felt the wine became more smooth and prefers the taste with food but Neil didn’t notice much of a change. 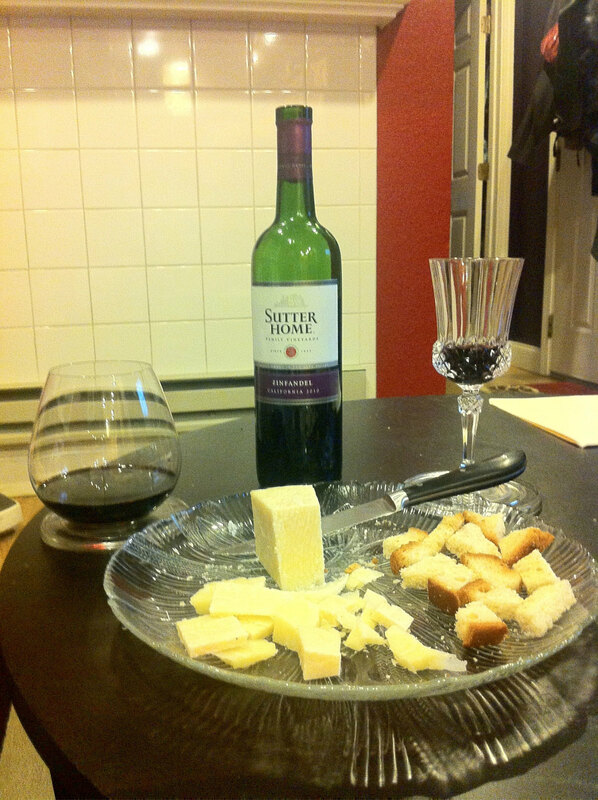 Our opinion of this weeks choice, Maria’s favorite cheese so far but least favorite wine. Unfortunately we could taste the sulfites in the wine. We’ll just need to try another brand next time.